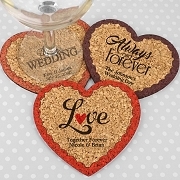 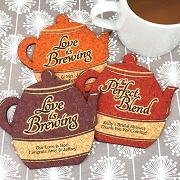 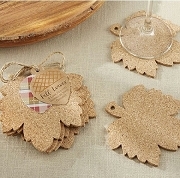 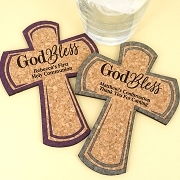 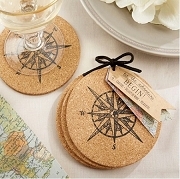 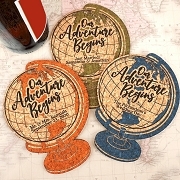 Our personalized cork coasters are made of natural cork. 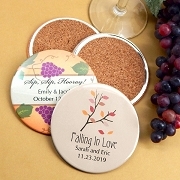 These ECO friend coaster favors are available in different designs for wedding, bridal shower, baby shower or any other special occasion. 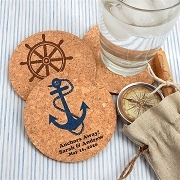 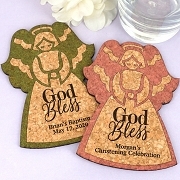 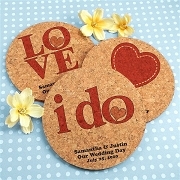 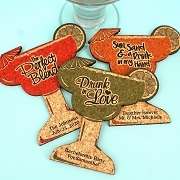 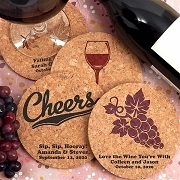 Personalize them with your names and event date which is printed on the cork coasters. 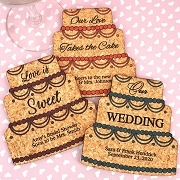 There is not setup printing fee for these practical favors.